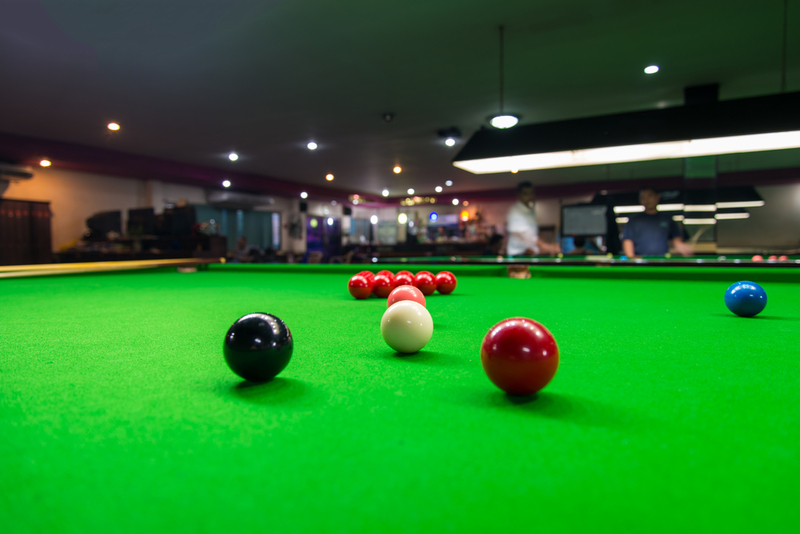 Snooker can be an overwhelming sport because of the extensive rules and terminology. We have tried to narrow down some terms to help people better understand the game. The term pot or potting refers to sinking a ball in to a pocket. Pots are only awarded when the correct balls are sunk. Refer to our article on “5 Fouling Rules” as reference to what is not allowed in snooker. In addition, a foul results in the opposing player to earn penalty points equal to the value of the ball “on” or 4 points, which ever is highest. This occurs when a player experiences a gridlock situation where it seems inevitable that they will scratch. An example is when red balls surround the cue ball when the player must hit a colored ball, but cannot do so in a straight line. Therefore they may be forced to perform a risky shot or simply sacrifice their turn. The ball on is the color of ball that is to be hit in that turn; the balls off are the ones that are not to be hit first. The ball that you are aiming to hit is called the object ball. English refers to putting spin on a ball. How you do this is by hitting the cue ball slightly off center, generally 1-1 and 1/2 cue tip distances off the middle. This is the point on the object ball where you are looking to make the cue ball hit. It is also the point that will ideally pot your object ball.